Mostly cloudy, with a high near 50. 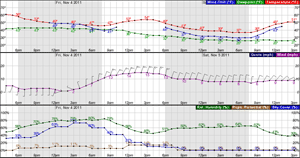 Breezy, with a south southwest wind 20 to 25 mph, with gusts as high as 39 mph. Partly cloudy, with a low around 38. Southwest wind 16 to 21 mph. Sunny, with a high near 46. South southwest wind 13 to 17 mph. Partly cloudy, with a low around 33. West southwest wind 13 to 16 mph. A 20 percent chance of snow showers after noon. Mostly sunny, with a high near 43. 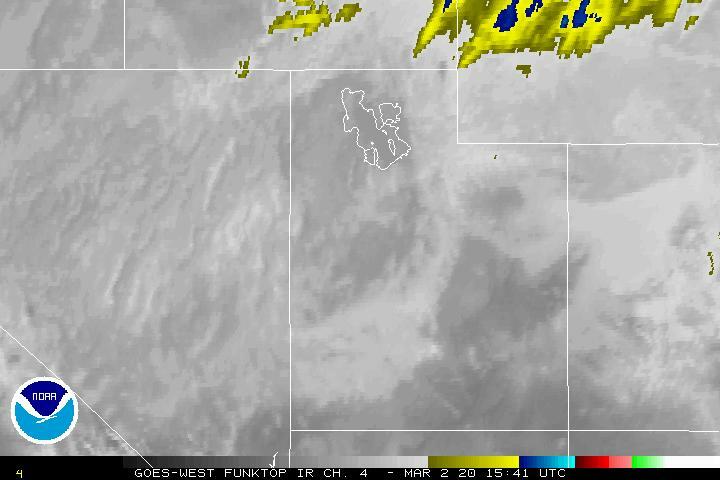 West southwest wind 5 to 7 mph becoming north northwest in the afternoon. A 30 percent chance of snow showers before midnight. Partly cloudy, with a low around 34. New snow accumulation of less than a half inch possible. Clear, with a low around 37.